I've always wanted to write more about one of my greatest passions: art. Art comes in many forms, but art is all about expression. Art is all around us, everywhere. I've always wanted to share more on art and art exhibitions. I've been exposed to the art world since I was small, inheriting my dad's love for the arts. I've written a bit about it in one of my first ever blog posts: the persistence of memory. I think I have been to almost all of RA Fine Arts, the Gallery exhibitions since 2007, but sadly, I don't think I've ever posted about any exhibitions yet, as much as I've always wanted to. I took photos every time, but in the end I never blogged anything. (Facebook albums shared with friends do not count eventhough I posted quite a number back then). I suppose the reason I haven't been blogging about it (apart from being busy) is because my expectations are too high on myself. Especially being surrounded by artistically inclined people in the local art scene. Without me realizing, I created unnecessary pressure on myself to translate what I feel and the thoughts in my mind into words. But now, I think I've accepted the fact. I am no professional art-critic. Far from it. Just someone who enjoys the arts and its beauty. I enjoy seeing and be in touch with my thoughts and feelings when I see it. Praises to God for the inspiration and for granting me those feelings and giving me the chance to enjoy all this. 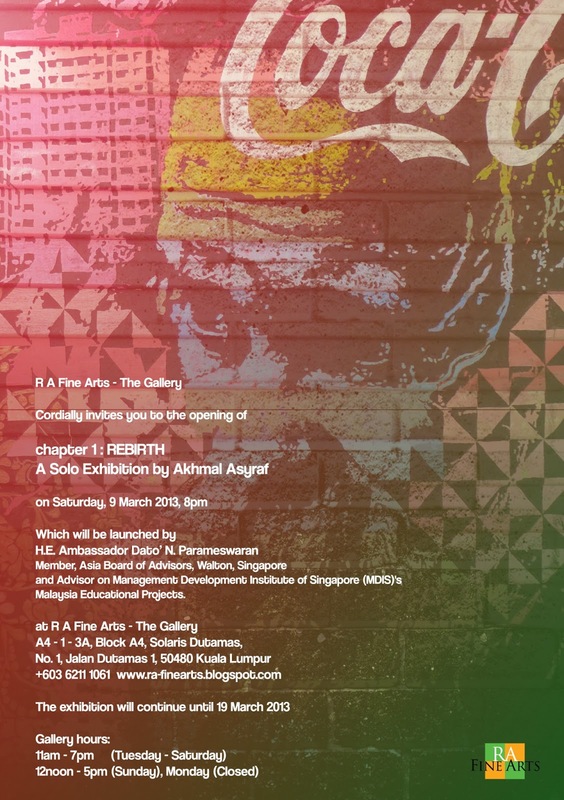 This coming Saturday night, there will be the launching of a solo exhibition by Akhmal Asyraf titled Chapter 1: Rebirth at RA Fine Arts at 8.00pm. I accompanied my Dad as we both set foot on Publika for the first time since we suffered our ordeals last year. There was a small press-conference in relation to the upcoming solo exhibition. While waiting for the press conference. I spoke a little with the artist and by eavesdropping on his conversations while being interviewed by the mainstream media I can say that he is a very humble young man who has a very interesting and mature worldview. His creativity can be seen in the concept of the art he's chosen for his solo art exhibition running from yesterday till 19th March 2013 at RA Fine Arts, the Gallery. Fresh pop-art but very experimental with a twist in the materials he's using. I love the fact that he uses old wooden doors or windows for some of his art pieces. That caught my eye since I first saw his artworks in previous exhibitions at the gallery. 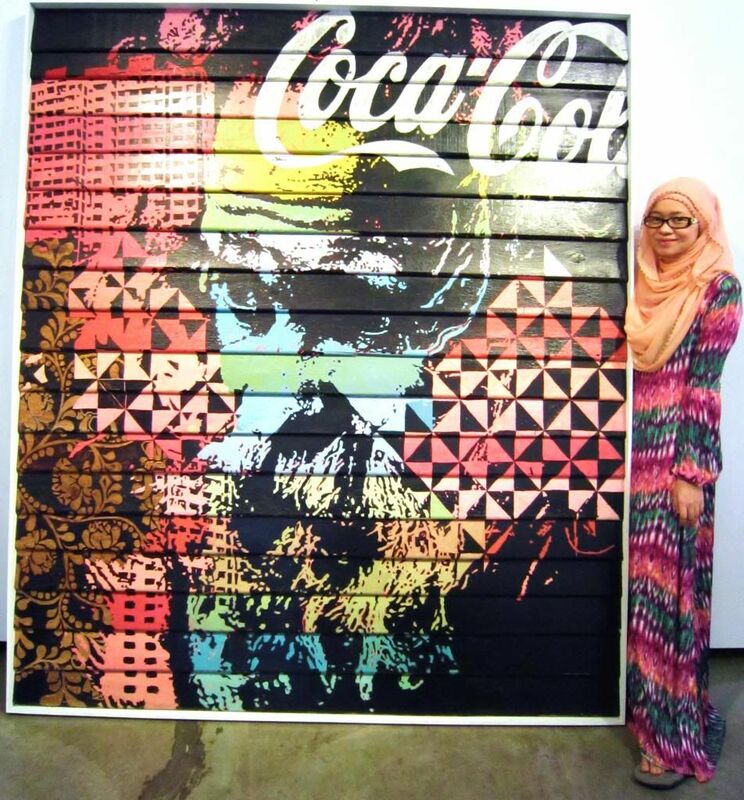 Meet the artist, Akhmal Asyraf. Seen here with one of my personal favorites of this collection "Expect the Unexpected"
Photographed with some of his artworks. 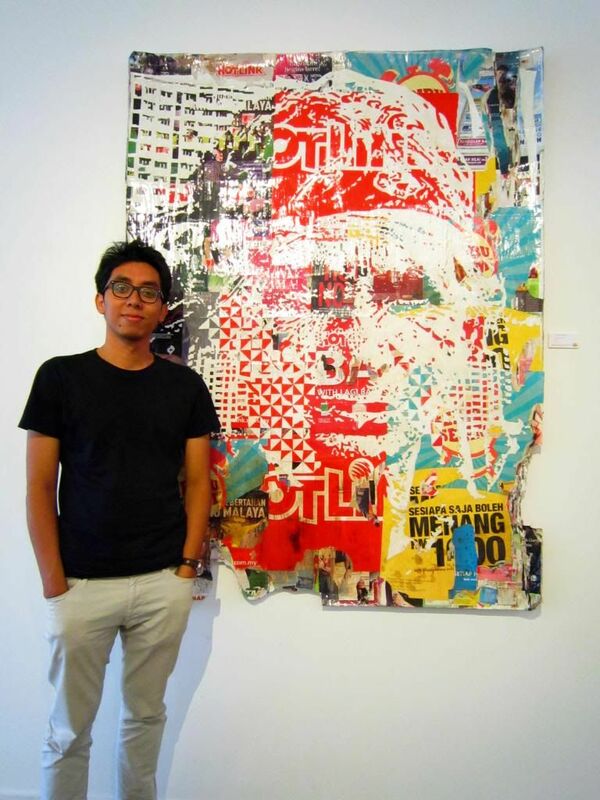 Standing next to one of the more interesting pieces: "Yang Kamu Sanjung"
I LOVE the contrast of the mixed media used in this piece "Yang Enam dan Yang Lima Kamu Lupa"
To me, what I love about his artworks is that it tries to expose the things we hold dear the most in today's age. What values do we really uphold? What things do we unconsciously bury ourselves under, so much that what is instantly recognizable nowadays are no longer ourselves but things and symbols and signs? His pieces are thought-provoking and makes you think. For example, what does the artwork 'Yang Enam dan Yang Lima Kamu Lupa' mean? Hubs thinks it's reference to society's corroding beliefs in the six pillars of faith ("rukun iman") and the five pillars of Islam ("rukun Islam"). I captured some of the artworks to share with all of you but trust me, no photos does any artwork justice. You have to come and see it for yourself. Moreover, what I captured is not even half of the whole collection exhibited at the gallery. 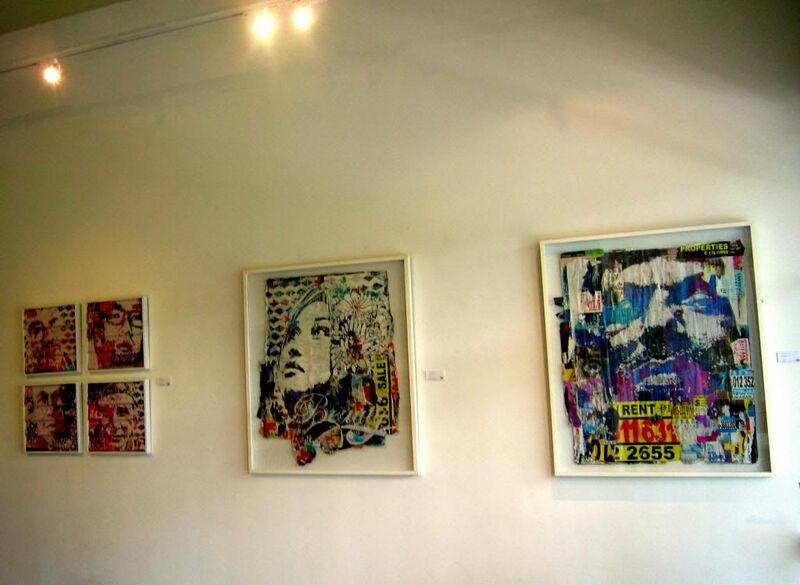 In case you are wondering, the artworks were done by mixed media on wood, canvas or paper. Here are some details of the exhibition and the location of the gallery. I'll try my best to be there at the launch. So do come if you're interested about the exhibition, or just want a little introduction and exposure on the Malaysian arts scene, I'll see you there! God-willing. and the exhibition runs from now till 19th March 2013. Kuala Lumpur, 5 March 2013 - “Chapter 1 : Rebirth” a solo exhibition by an innovative and exciting young artist Akhmal Asyraf features contemporary artworks using recycled objects, re-fashioned into new artistic artwork. The artworks featured in this exhibition cover a wide range of styles and utilise new medium. 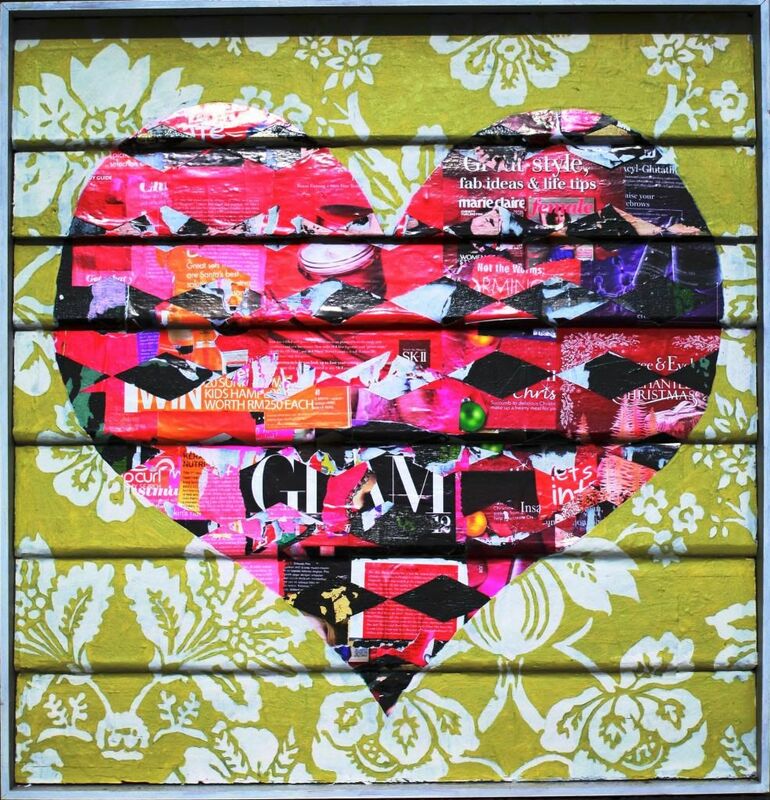 They include paintings, mixed media collage on wood and decollage in art. It is created by cutting, throwing away or tarring pieces of original image. 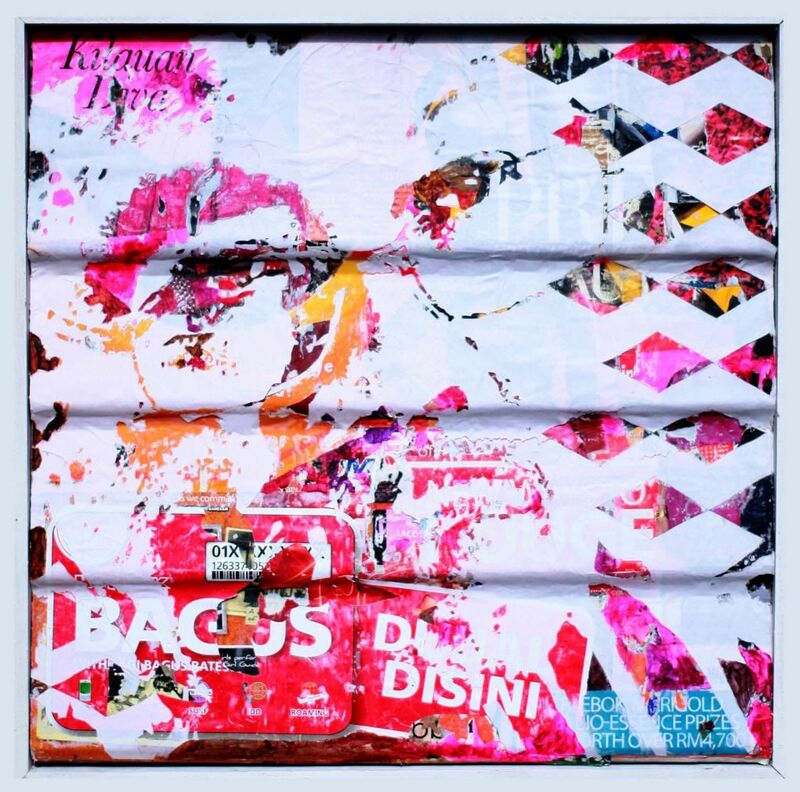 In the context of Malaysian visual art, Akhmal Asyraf can be categorized as belonging to a new generation of artists who create mixed media collage on wood with elements of Pop styles based on his own experience regarding the rapid development of the environment and more especially of his surroundings. What is exciting about his artworks is his ability to imbue meaning based on the current social realities while there may be traces of Pop art in his very individualised fashioning of his painting and artworks. 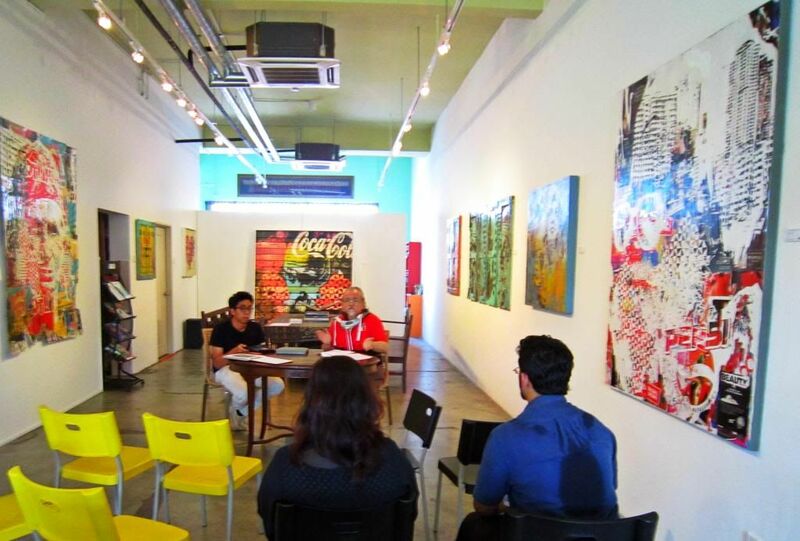 The exhibition organised by R A Fine Arts – The Gallery will run from 5 – 19 March 2013 with Azzad Diah as the guest writer. There are total of 15 artworks in this exhibition. 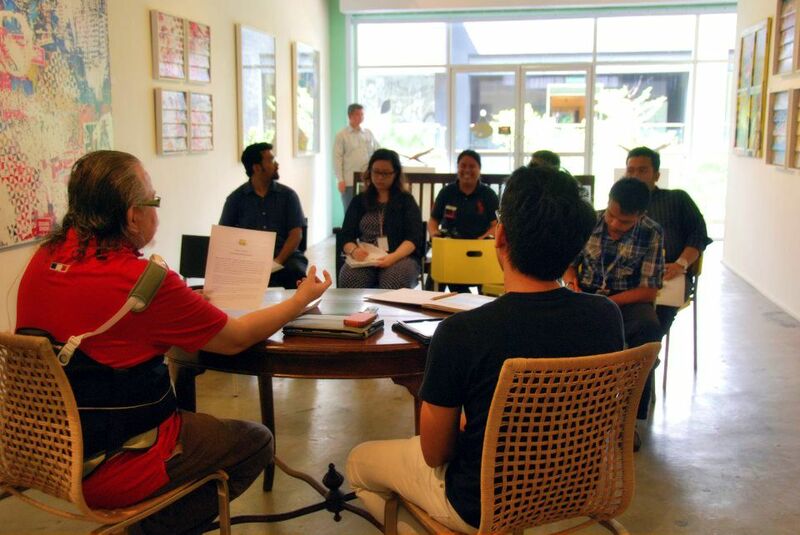 R A Fine Arts – The Gallery was established as an exclusive consultancy art gallery to promote both the modern and traditional visual art forms of this country and the ASEAN region. Since the gallery was launched on 30 June 2007, R A Fine Arts has organized almost 50 local and international exhibitions, including in Dubai and London. 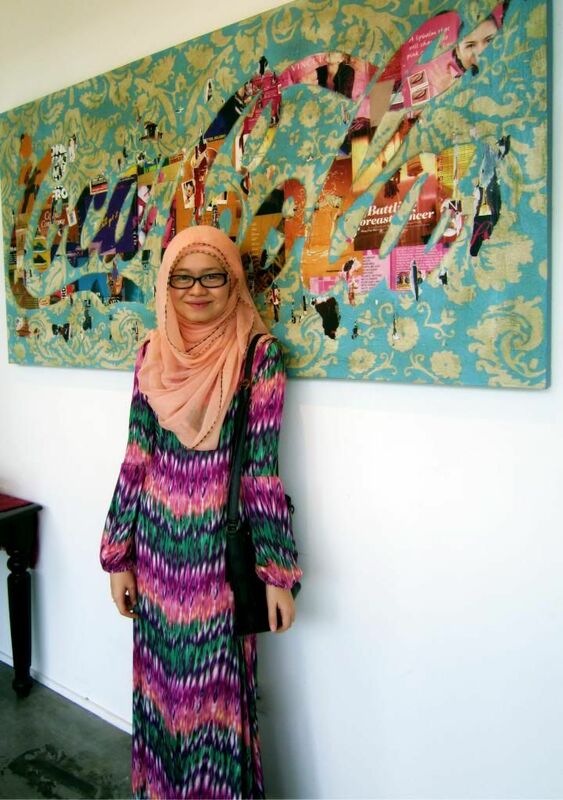 They offer within their premises the selected works of Malaysia’s distinguished modern artists as well as those from the finest traditional craftsmen from the Southeast Asian Region.